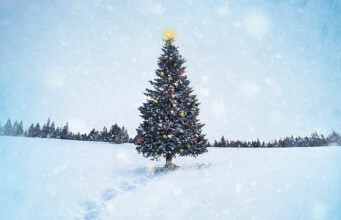 Encore: A Christmas Holiday Spectacular! 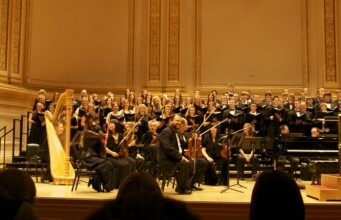 Thanksgiving 2020 with Dr. John Leavitt, composer, conductor, arranger at Carnegie Hall. 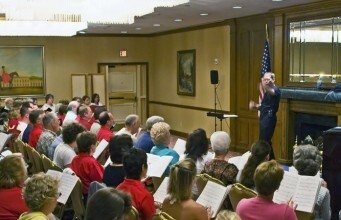 Host John for an exciting “Meet the Composer/Conductor Event,” or an educational Clinic/Workshop. It could be a choral anthem or larger choral work, a song cycle, piano or organ arrangements, a work for orchestra, or other ensemble. Check out what's new in our Music Store! 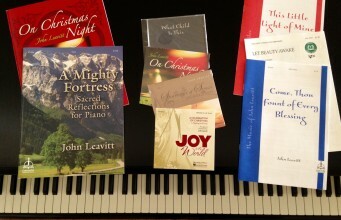 John Leavitt Music continues to add new albums, chorals, and keyboard folios. Check out the new review audio and videos for many new works. 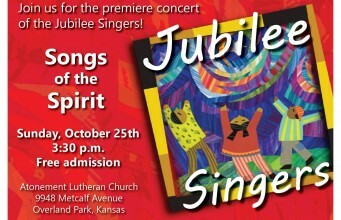 Audition for the New Jubilee Singers! Find out more here and get scheduled. Read along with John's newest music in print with Hal Leonard. There are many new publications for choir in a variety of voicings (Sacred, Secular, and Christmas) as well as string orchestra. 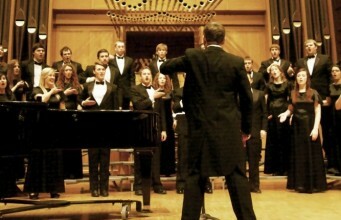 Working with John Leavitt has been a tremendous joy for me as a choral director. One of the most exciting “Meet the Composer” events we have had at Great Bridge Presbyterian was with John Leavitt. His extraordinary musicianship and ability to communicate effectively with all levels of choral singers and orchestra personnel is outstanding. In addition to leading efficient and energetic rehearsals, his innate teaching expertise is always evident. His keyboard facility is impressive and wonderfully fluid. While focusing on important details in rehearsals, he still manages to show great care and respect for the singers and instrumentalists. 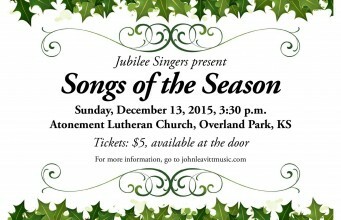 John’s music is challenging yet eminently accessible for all levels of musicians. His orchestral writing shows the same attention to detail as his choral music and is well crafted for the instrumentalists. Our Music Ministry commissioned an anthem from John, “Praise the Lord, Sing Hallelujah” and it continues to be one of our favorite works to sing. We included it on a recent tour to Scotland where it received an enthusiastic reception. 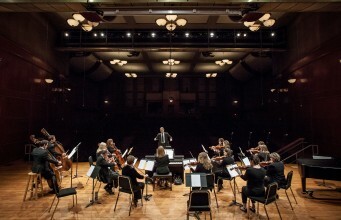 - Billye Brown Youmans, Director of Music, Great Bridge Presbyterian Church, Chesapeake, Virginia; Performing Artist Faculty, Virginia Wesleyan College, Virginia Beach, Virginia. 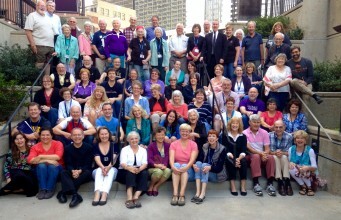 John Leavitt has visited our church numerous times to work with our choirs. The energy and expertise that he brings to his music making has had a lasting impact on our music ministry. He has a joyful approach to singing that brings out the best in everyone! John Leavitt’s rehearsals are so inspiring because they exemplify what he is best at – creating beautiful music by being inclusive of and responsive to every singer. In addition to his excellent conducting skills and thorough knowledge of his musical vision, he has the rare gift to make each individual feel as though they are the only one there in the room by modeling genuine respect and care for each singer. The atmosphere seems relaxed, there is always a reminder to the choirs that they can keep striving to a higher level of excellence, but always with that special added “Leavitt touch”. No matter what you need, John Leavitt is it! He is a superb composer, conductor and workshop leader, keeping both choir members and workshop participants on the edge of their seats with his exceptional musicianship and entertaining style (amidst rigorous performance expectations and most informative sessions), and his well-crafted anthems and larger works envelope choir and listener in grand and glorious moments of bliss. Whether leading college choirs, community singers, or church directors and their choristers, he is magnificent! It’s Here: Our Music Store is Open!